Three little mice, each with a character of its own. They stand up tall and peep out from their little box to see what is going on around them. 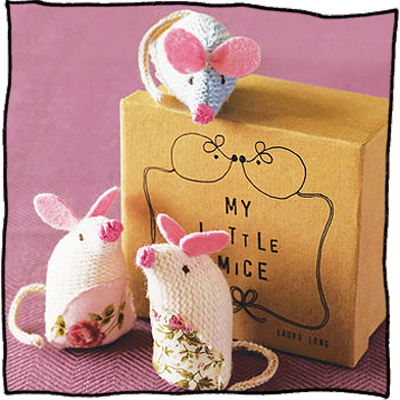 Each mouse is lovingly hand knitted in the finest lambswool with hand embroidered detailing on their nose, ears and eyes. The three mice are beautifully presented in a gift box - one blue and two pink, or a combination of both. Dimensions: Each mouse is approx. 6cms tall. Select a single quantity for a box of three mice.